Catalonia’s separatists weighed their options on Sunday (22 October) ahead of a week that will see Spain take the drastic step of sacking the region’s government as well as calling fresh elections to try and stop the country breaking up. 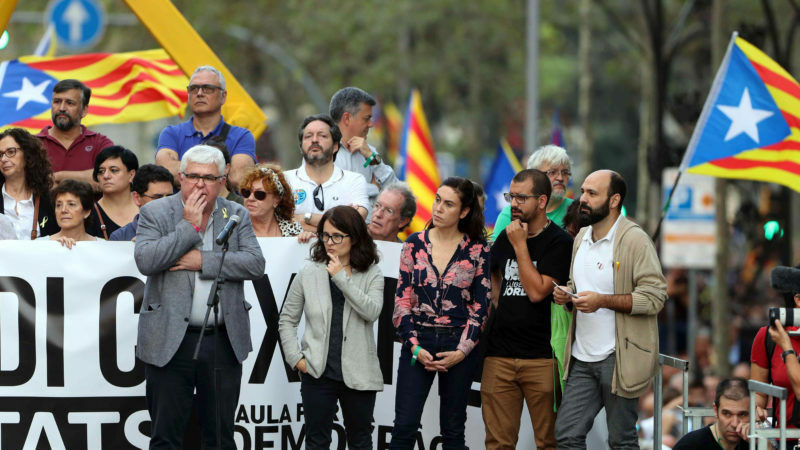 Catalan parties are due to meet Monday to organise a full gathering of the regional parliament to debate next steps – a session that could potentially give the ruling separatists another opportunity to declare unilateral independence, which they have been threatening to do since a banned referendum on the issue on 1 October. Among other repressive measures, Franco – who ruled from 1939 until 1975 – took Catalonia’s powers away and banned official use of the Catalan language. Puigdemont says 90% backed a split from Spain in the referendum, but turnout was given as 43% as many anti-independence Catalans stayed away from a vote that was declared illegal by the courts.